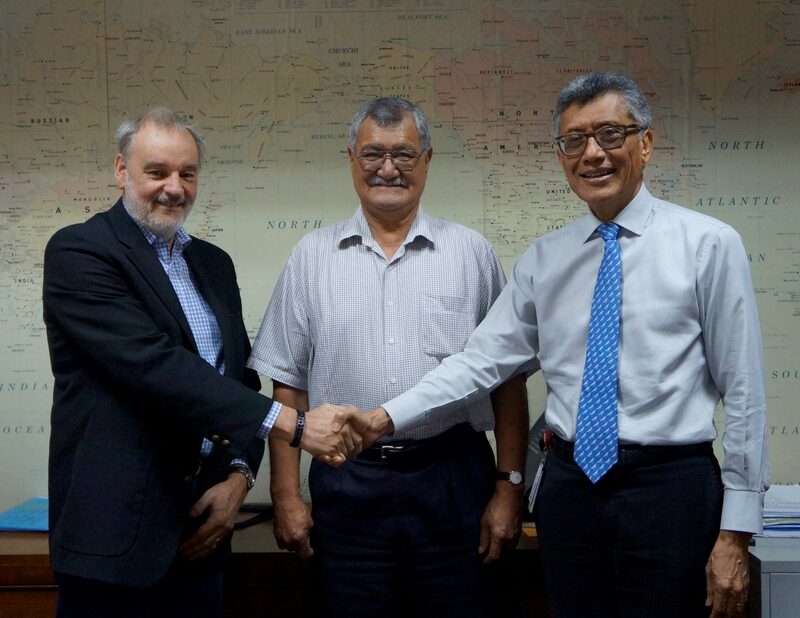 Air Niugini Chief Executive Officer(CEO) and outgoing chairman of Association of South Pacific Airlines (ASPA), Mr Simon Foo has welcomed the new ASPA chairman and CEO of Nauru Airlines, Mr Geoff Bowmaker to his new role. In handing over the role, Mr Foo said Mr Bowmaker is a veteran in the airline industry and will continue the good work of further developing the association’s goals and encourage regional cooperation. Mr Foo is pleased to note the significant progress ASPA has made over the years, most importantly that the association is fulfilling many objectives that were mandated under its charter. He was appointed chairman since 2015. The incumbent, Mr Bowmaker like Mr Foo is not new to the airline industry. He was ASPA’s deputy chairman for many years prior to his appointment as chairman. Mr Bowmaker started as a junior clerk at Qantas Airways in 1968 and moved to overseas station Management and Route Director roles in the latter years. He also held senior positions in Air Namibia in Southern Africa and Air Pacific in Suva, Fiji. His vision now is to continue the good work by his predecessor to develop the association’s goals which among others, promote cooperation among the Member airlines for the development of commercial aviation within, to and from the South Pacific region. ASPA has 13 airline members and 46 Industry Service Provider members. Its primary role is to serve as a common forum for the articulation of members views on matters and issues of common interest. It is also to foster close co-operation and to bring an atmosphere conducive to the stimulation of the travel and tourism industry in the region. The term of office for ASPA chairman is one year. The decision for a new chairman is held during the annual general meeting (AGM) each year.